Last week I heard of an accidental anthropological study. The experiment took place in an office and it was an accident because the company concerned was the victim of a ransomware attack aimed at their global parent. The longshot was that for three days they couldn’t use their systems. No email, no normal. All routine and all schedules disappeared, and with no typewriters to fall back on (incidentally, if you ever fancy a laugh, try explaining “cc” carbon copies to a Millennial.) The shutdown, however, led to some interesting outcomes. Firstly, people started to talk to each other. Despite being full of people, many offices can be impersonal places. Teams sit together, workers have their heads down, and functions rarely break out of their self-imposed silos. People don’t talk because to talk is to interrupt screen-based work. Take away the screens and the people in this office started to communicate more openly than they could remember. People offered to help; people made creative suggestions; leaders emerged from unexpected places. Business as unusual created different behaviours. Secondly, work became more effective. Without the constant waterfall of new emails, people were able to work without interruption. They triaged and prioritised work. They were better at making the distinction between urgent and important. Clients and customers were the focus rather than satisfying internal processes or managers. Thirdly, there seemed to be fewer meetings. Perhaps it was because the routine had been broken, but it may also have been a subconscious realisation that not only were emails unproductive but also that so were meetings. And if they could do without the one then perhaps they also didn’t need the other. Fourthly, people proved to be far more creative than their normal work suggested. As if no longer shackled to their desk, people broke free and came up with other ways to solve problems. They shared ideas beyond their usual groups and worked with others on issues outside their normal role. It demonstrated how often people are forced into work-related straight-jackets, unable to use their wider skills because they’re not part of their usual business objectives. Finally, it was observed that there were far fewer free riders than would have been expected. Yes, there were some who made excuses, saw an opportunity to go home early, or to work from Starbucks. But the majority enjoyed the challenge that came with the unexpected crisis and rose to it. And so, the questions are what were the lessons learnt and has any change been sustained? The answer to the first question is that many people for a long time have realised that email is a blunt instrument. It is good for sending messages or for posting documents to clients, but it is a bad way to run business, work collaboratively or make ironic jokes. 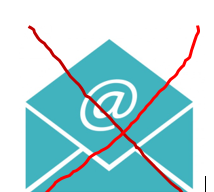 Email is effective as a postbox but not much else. Many companies have for a while been working with digital communication solutions that are designed specifically for team tasks and co-working that encourage and enable creative collaboration (for instance, Yammer, Slack @Workplace by Facebook. Check out experts such as @simply-communicate for advice). In fact, internal communications as a discipline is fast changing from a top-down channel for senior management messages to one that gives people the tools they need to do their job properly. Technology, properly used, can liberate rather than enslave. An inspiring story of life after hacking. Sad thing is that I was able to read it only because I received the email guiding me to it.